With railway carriages and the town of Arles in background, this painting by Vincent Van Gogh truly defines a revolution from the 1880s. 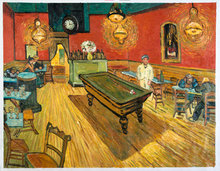 The painting Railway Carriages in Arles has been carefully reproduced by talented our artists who have studied Van Gogh’s style and techniques for years. 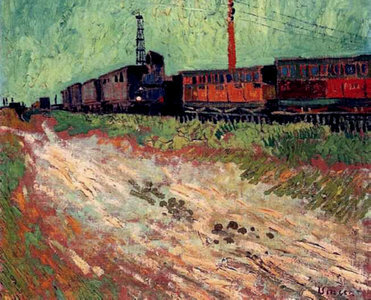 Railway Carriages in Arles was painted by Van Gogh during his later years when he had moved to the South of France. 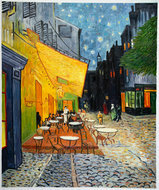 In fact, in 1888, Van Gogh painted a number of masterpieces while he was in Arles. 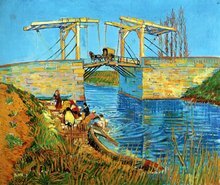 Paris might have been the place where he learnt new styles and got introduced to impressionism, but Arles was the town where inspiration really struck Van Gogh. Van Gogh’s letters to his brother Theo revealed that he would often go to the train station to pick up letters and art supplies sent by Theo. 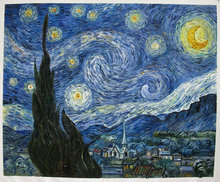 It was during this time that Van Gogh started noticing the train carriages running between Arles and Provence. The painting instantly takes you back to the 19th century France train traveling period. Van Gogh has been able to perfectly capture the translucent light in the South of France, but what makes this painting unique is the shimmering and striking green sky.